Golden Hat #5 - Painting Competition! CDO Forums / Chaos Dwarfs Online / Website News / Golden Hat #5 - Painting Competition! Author MessageGolden Hat #5 - Painting Competition! Welcome to the 5th Golden Hat competition! For those new to CDO, the Golden Hat painting competitions are a chance to paint a mini and test your skills against the other members of this forum. The theme for this competition is... a Standard Bearer. - Paint a Standard Bearer (of Unit Strength 1) that bears a banner on some part of the model. - The bearer can be a Battle Standard Bearer, for a made up unit, or that of any of the existing units in the CD list (provided its Unit Strength 1). What can I not paint? - Bull Centaur or wolf rider Standard Bearer (as they are unit strength 2). - The deadline for entering is 31st March 2008. Once the deadline has closed a new thread will be created where people can vote in a poll for which entry they think deserves to win. - Most importantly you get a place in the Chaos Dwarfs Online Hall of Fame, where your glory will be remembered for years to come. 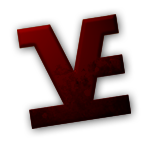 - The winner will also get a Golden Hat Medal to be added under their avatar. - Everyone who enters will get 5 free slaves. This post was last modified: 02-26-2008 03:23 PM by Xander. I'm defenitely going to enter, I already have some cool idea's in mind. Standard Bearer!!!! YAH I'm in... Now just have to decide what to make. To further clarify for those who might ask (mods feel free to chime in) this means that it is limited to either hobgoblin or chaos dwarf as the model on foot. Hobbo wolf riders and Bull Centaurs are out... as they have US2. You could do a Black Orc, Orc or Goblin as well. This post was last modified: 02-15-2008 10:03 AM by Grimstonefire. Im offering a copy of the -GW presents Chaos Dwarfs- to the winner. Eager to start, but unsure as to which unit to enter! Unfortunately, I think I've already painted all of my standard bearers, however, I could always opt for converting a BSB with some spare parts I might have lying around! Bloodaxe's generous offer is also going to make me work even harder on my entry! As for the life of me I can't seem to win one of those darn things of of vultureBay. This post was last modified: 02-15-2008 03:09 PM by Willmark. Hm, this is very tempting - would be a good opportunity to make a Battle Standard Bearer for my army. Although I planned this to be Bull Centaur which would not qualify for this competition. Plus, I haven't planned to include a BSB in my army until I have 3k points - and still a long way to go. Yahoo! definitely entering this one! woohoo! Il see what I can do in this one. Although knowing the kind of work we can see here, i still have my doubts. Hmm, not something I have in my list but if I can come up an idea that is worth making I think I will give it a go. How big of a bace can this single figure be on???? Well, I would think 25mm bases are the max. Everything else would be too big for a model with unit strength 1. Just to point out incase it isn't clear, this isn't a competition where you can only enter a BSB. You can enter any standard bearer for any unit if you want (US 1). Thanks BA for the prize! This post was last modified: 02-16-2008 11:43 AM by Grimstonefire. This post was last modified: 02-16-2008 02:37 PM by Willmark.